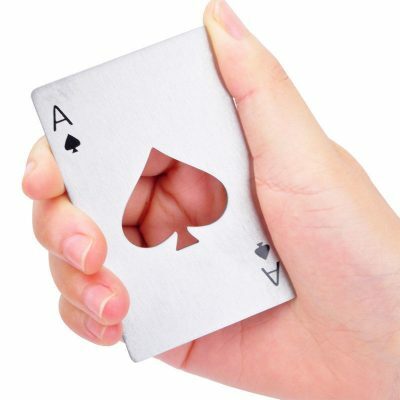 This is a must for card magicians. It’s a stainless steel credit card-sized bottle opener that looks like the Ace of Spades. Carry it in your wallet and always have a cool looking card revelation. 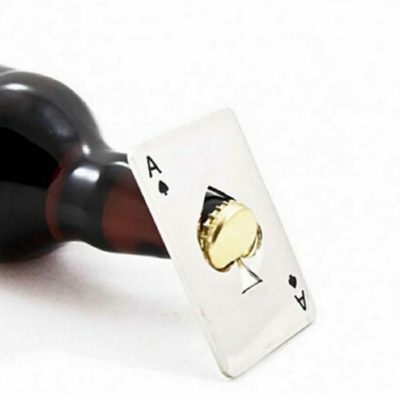 Plus you’ll be the hero at parties for folks searching for a bottle opener. Since it’s made of steel it will last forever and magnets could be employed in conjunction with it. For the price this a great gift!